During a livestream this morning, Arc System Works released a new trailer for BlazBlue Cross Tag Battle. Titled BlazBlue Cross Tag Battle Character Introduction #1, it shows off some new characters joining the crossover’s cast. The new trailer shows off BlazBlue’s Jin Kisaragi, who was also revealed in the initial announcement trailer during EVO this year. 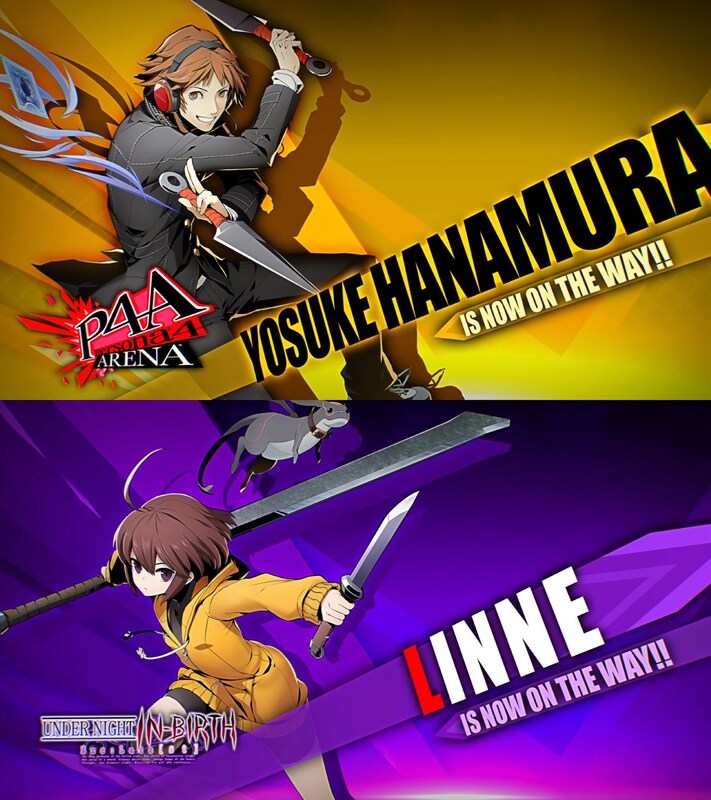 The trailer then goes on to show off for the first time Yosuke Hanamura from Persona 4, and Linne from Under Night In-Birth. Each of these characters is a rather unsurprising inclusion for their respective series, so hopefully there will be some more interesting announcements in the future. For those unaware, the cast is now Ragna the Bloodedge and Jin Kisaragi from BlazBlue, Yu Narukami and Yosuke Hanamura from Persona 4, Hyde Kido and Linne from Under Night In-Birth, and Ruby Rose from RWBY. The trailer also gives us another slight look at how gameplay might work. The HUD is certainly different from any of the game’s origin series, which supports something producer Toshimichi Mori said in an interview with Famitsu that the game will have a totally new system from previous BlazBlue games. Oddly the trailer featured a character from every series except RWBY. What this means remains to be seen, but we will be learning more soon with the trailer teasing more information coming in October.